Two new Sigma Art prime lenses are coming! According to the latest rumors from SAR, Sigma 135mm f/1.8 Art and Sigma 14mm f/1.8 Art lens will be announced sometime in 2017. Earlier rumors said, Sigma would announce the Sigma 24-70mm f/2.8 DG OS Art Lens before CP+ Show in Japan in February, but we haven’t seen anything confirmed as of yet. 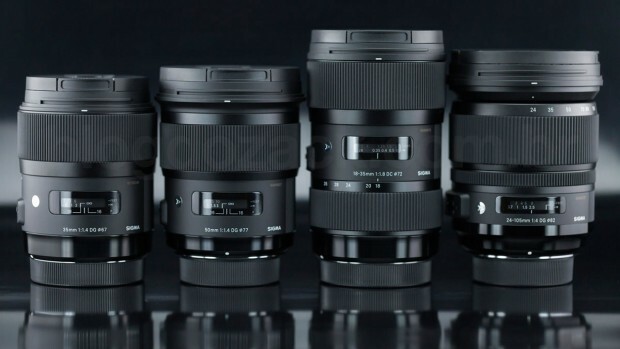 In 2016, Sigma released two new high-end art lenses: Sigma 85mm f/1.4 DG HSM Art and Sigma 12-24mm f/4 DG HSM Art Lens. Both the lenses are now in stock and shipping in US stores. This entry was posted in Sigma Lens and tagged Sigma lens rumors on February 14, 2017 by admin.